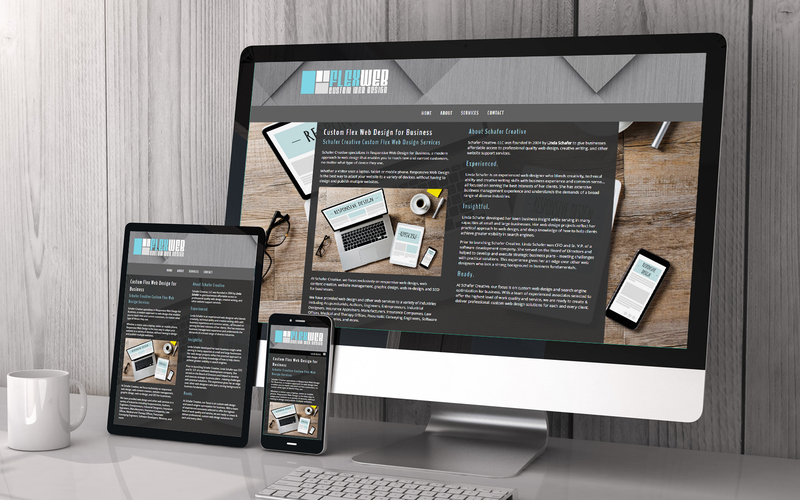 Schafer Creative specializes in Custom Responsive Web Design for Business, a modern approach to web design that enables you to reach new and current customers, no matter what type of device they use. Whether your customers use a laptop, tablet or mobile phone, Responsive Web Design is the best way to adapt your website to a variety of devices, without the cost and time needed to publish multiple websites. We offer professional custom web design, responsive web design for mobile, graphic design, content creation, content optimization, web programming and related services. We also offer SEO, Google Analytics & AdWords, Google maps, and web listing management. One-Stop services - we can manage all of your web design needs. Per-Project basis - quotes for separate projects & services. Organic search engine consutations & services (SEO). Learn more about Schafer Creative, or contact us for a web design quote.